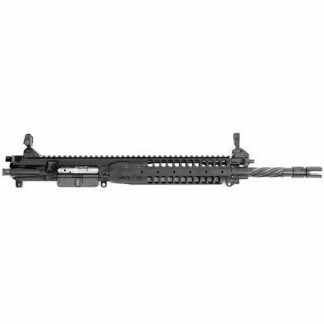 Xtreme Guns and Ammo purchased 25 LWRC IC SPR 5.56 Upper Receivers Blemished at a deeply Discounted Price! Buy your LWRC IC SPR 5.56 Upper Receiver Blem before they are gone. LWRC Skirmish sights are included! Full Warranty Included, very small blemishes. The LWRC IC SPR 5.56 Upper Receiver variant utilizes the same Cold Hammer Forged, spiral fluted barrel as the LWRC IC Enhanced. The LWRC IC SPR 5.56 Upper Receiver Receiver employs a low profile gas block for the piston system and a longer twelve (12) inch modular handguard that carries the same traits as the shorter handguard on the LWRC IC Enhanced. Topped with our low profile Skirmish Sights, The LWRC IC line of upper receivers is the latest evolution in the LWRCI 5.56 uppers. 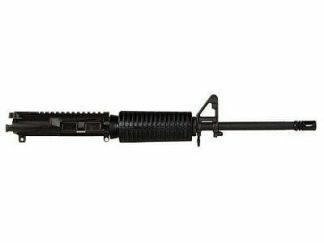 Buy LWRC LWRC IC SPR 5.56 Upper Receiver Blemished at Huge Discount Pricing from the Nations Largest LWRC Dealer.